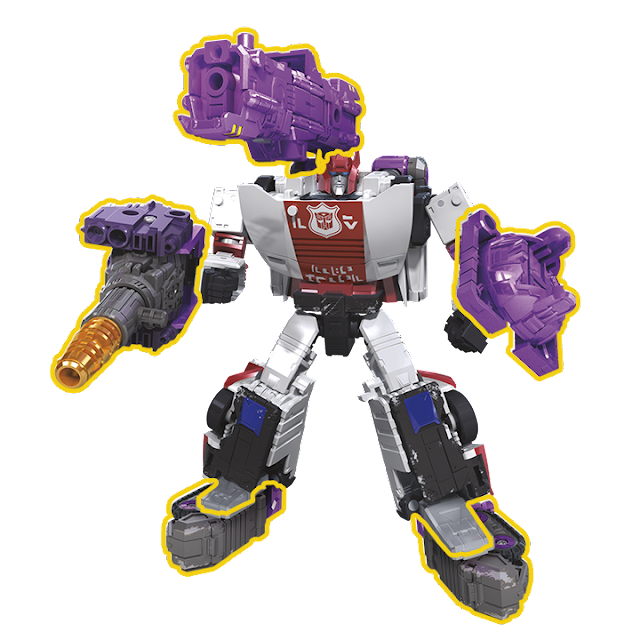 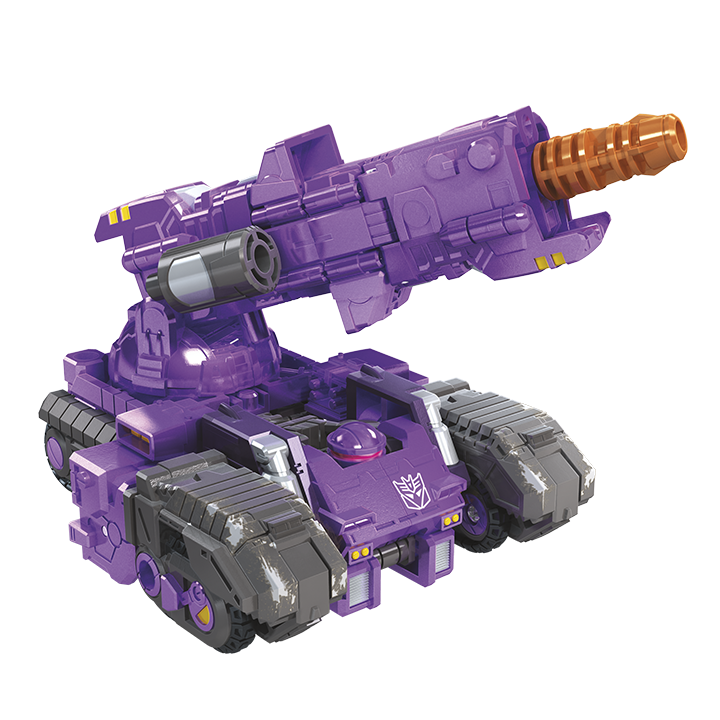 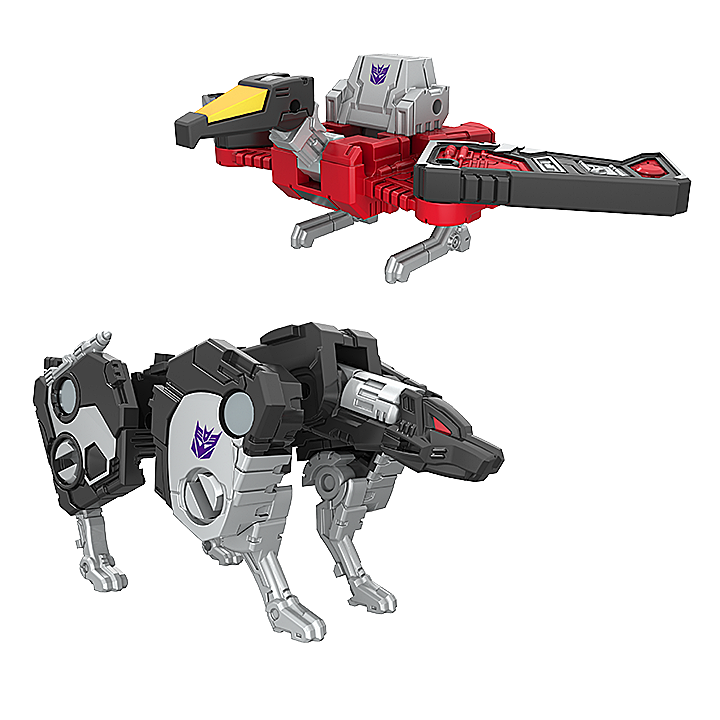 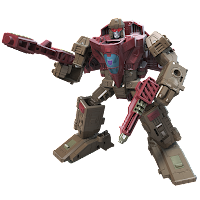 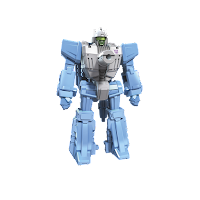 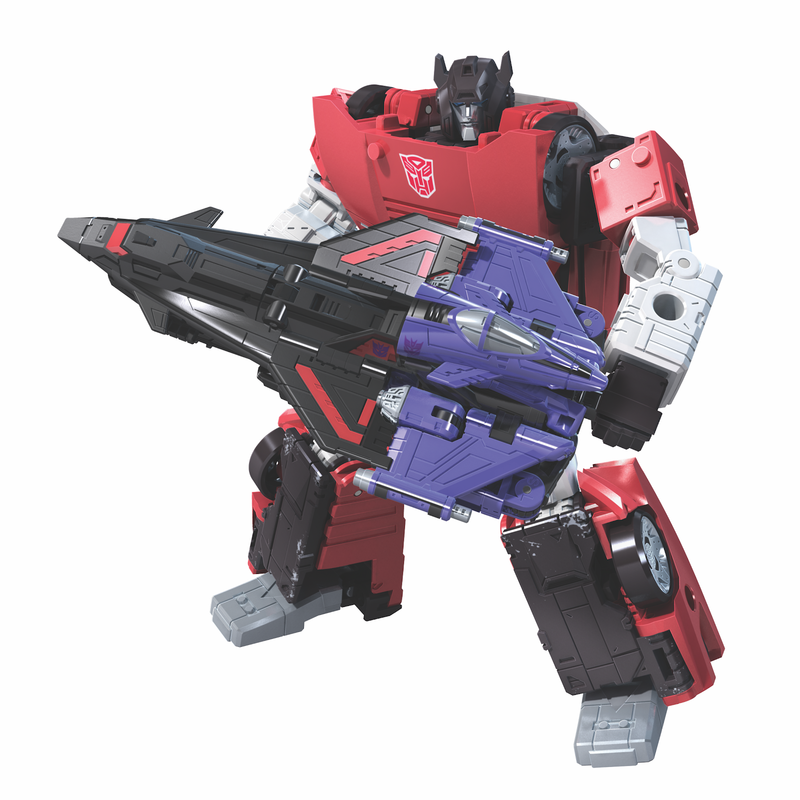 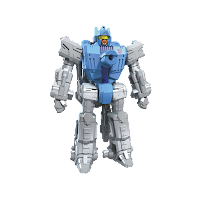 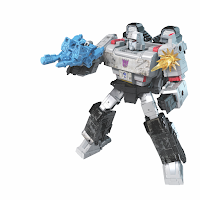 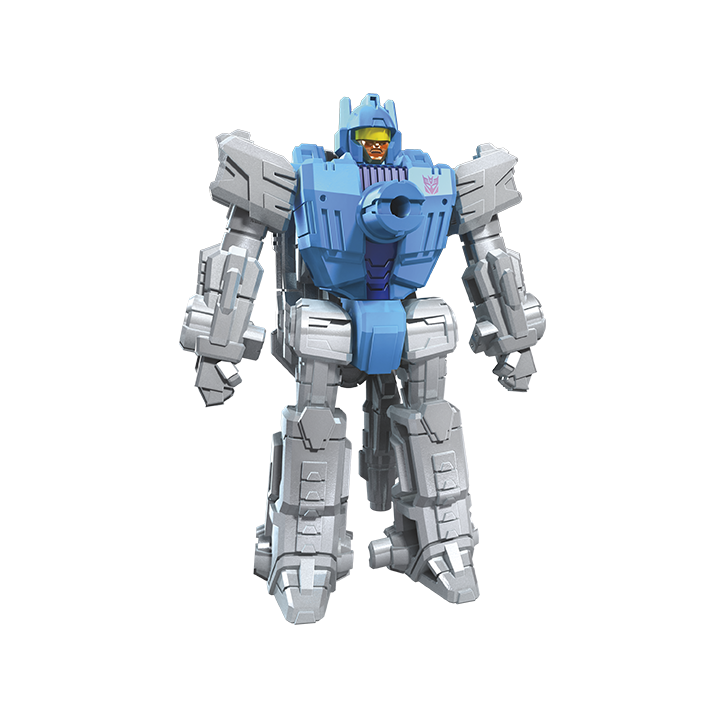 We have a second batch of the official images of the Decepticons that will be released in the upcoming Transformers War for Cybertron: Siege line which were also unveiled at the ongoing New York Comic Con. 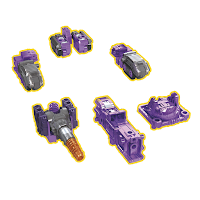 The new set of images revealed that the Decepticons Brunt; Trypticon's minion and Skytread (aka Flywheels) will be released as Deluxe scaled figures, like Refraktor (Reflector, dammit copyright laws). 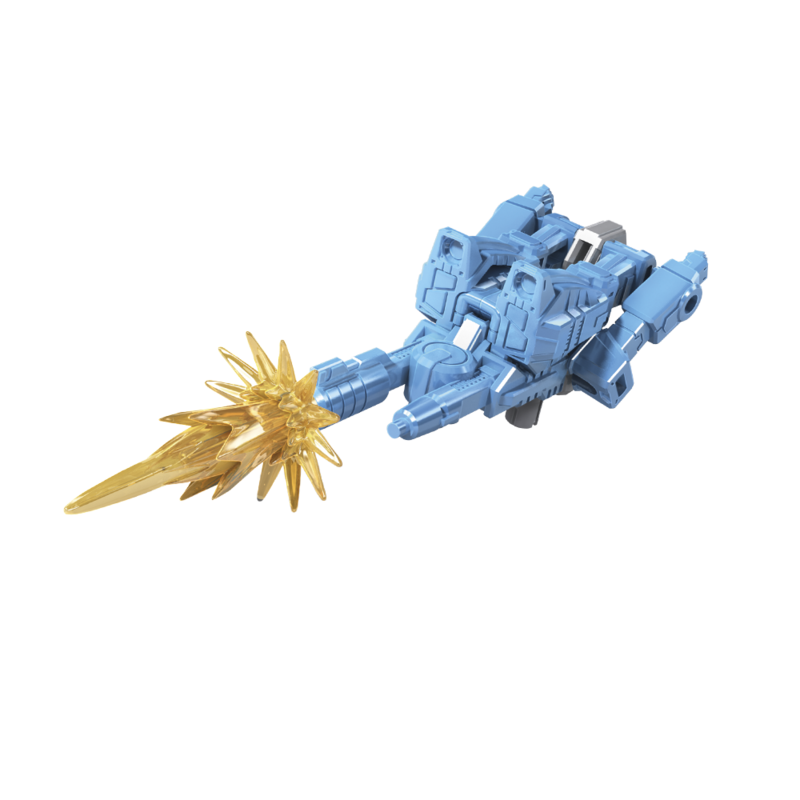 Unlike his Duocon partner in crime, Power of the Primes Battletrap, Skytread doesn't transform to smaller robots, instead retains its G1 toy gimmick the two vehicles transforms to a single bot. Like the upcoming Autobot Cog, Brunt has 3 modes: vehicle, robot and weaponizer modes where you can attach his parts to other Transformers figure for added firepower. 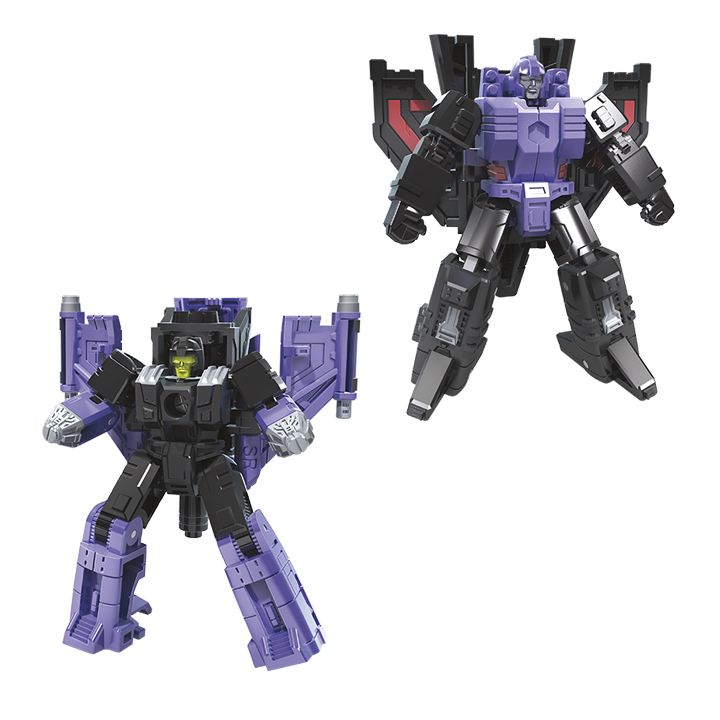 Also revealed are the Battlemasters Blowpipe and Aimless, which are the original Targetmaster weapons of Triggerhappy and Misfire which in turn are redeco of the previously released Japanese exclusive Targetmaster figures in Transformers Legends line (well they're not exclusive anymore). 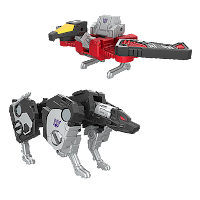 They both come with laser effect parts. 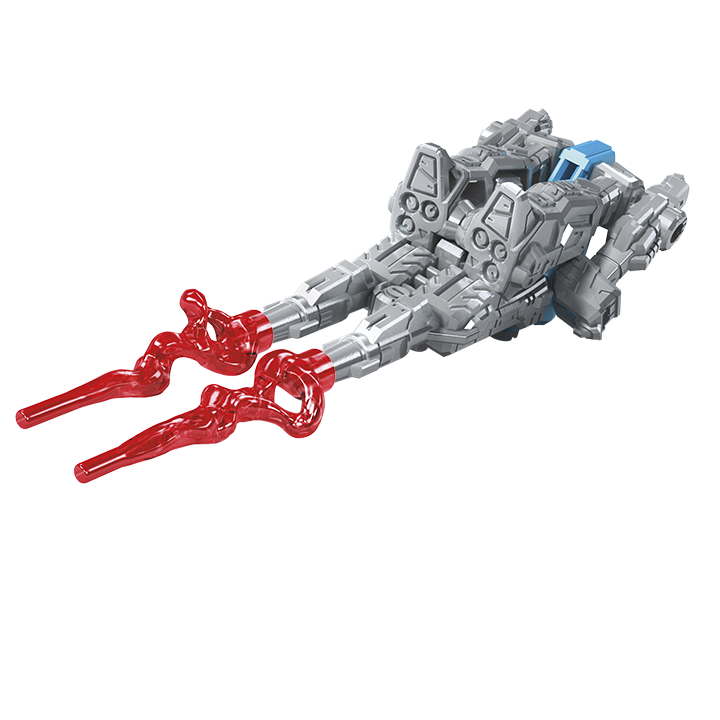 2 more Micromaster patrol sets are also revealed: the Airstrike Patrol which they transform to bot, jets and forms a single weapon: a sword and Soundwave's Spy Patrol composed of his Cassettecons, Laserbeak (homages of his Cybertronian form, first appeared in More Than Meets the Eye Part 1) and Ravage which can be stored in WFC Siege Soundwave's chest and also acts a an additional armor to the latter. 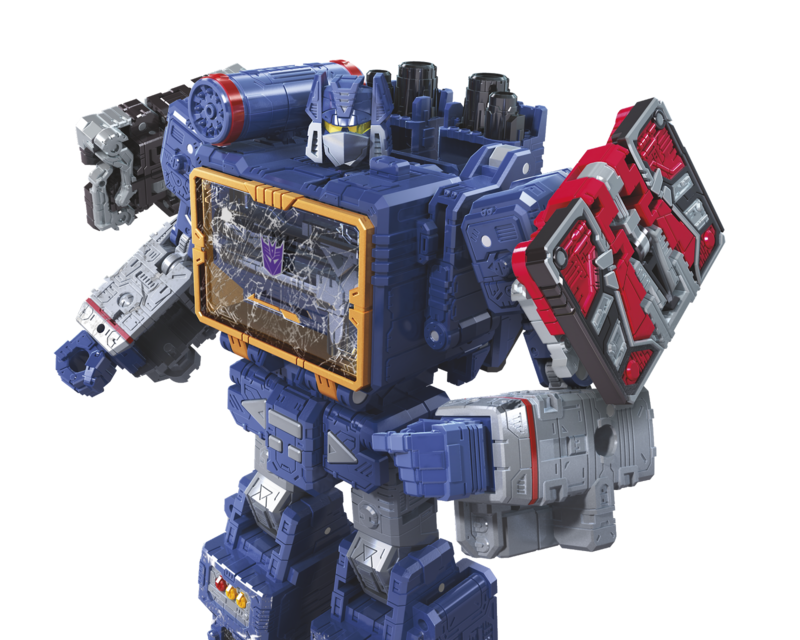 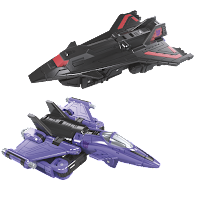 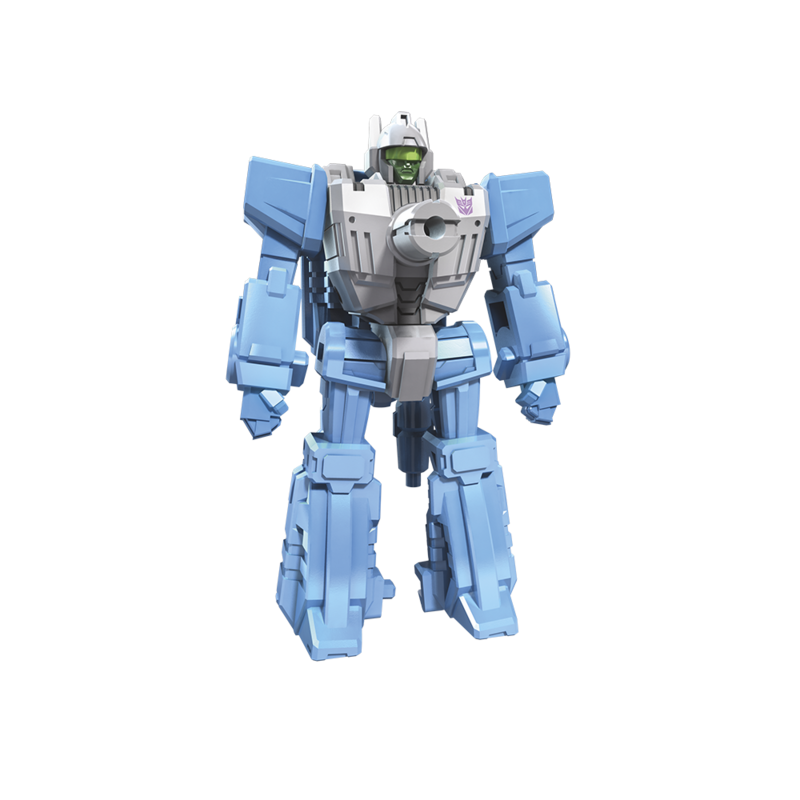 We also have additional info regarding to my previous post: its confirmed that Megeatron, Starscream and Soundwave will be released as a Voyager class figures, while the uber-baddie Shockwave will be released as a Leader class figure. Additional footnote that Hasbro just teased us an image of a Red Alert figure (a redeco of obviously WFC Siege Sideswipe) shown with Brunt (in weaponizer mode) attached. 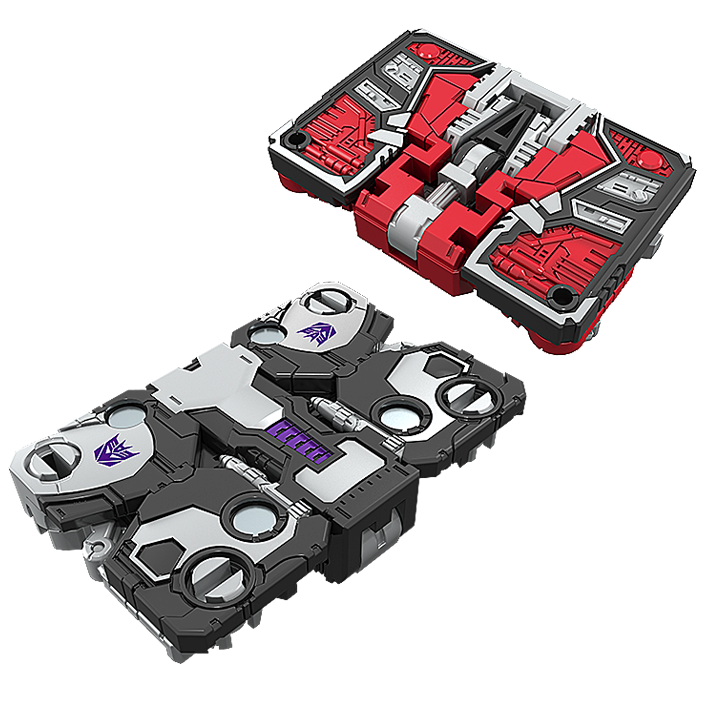 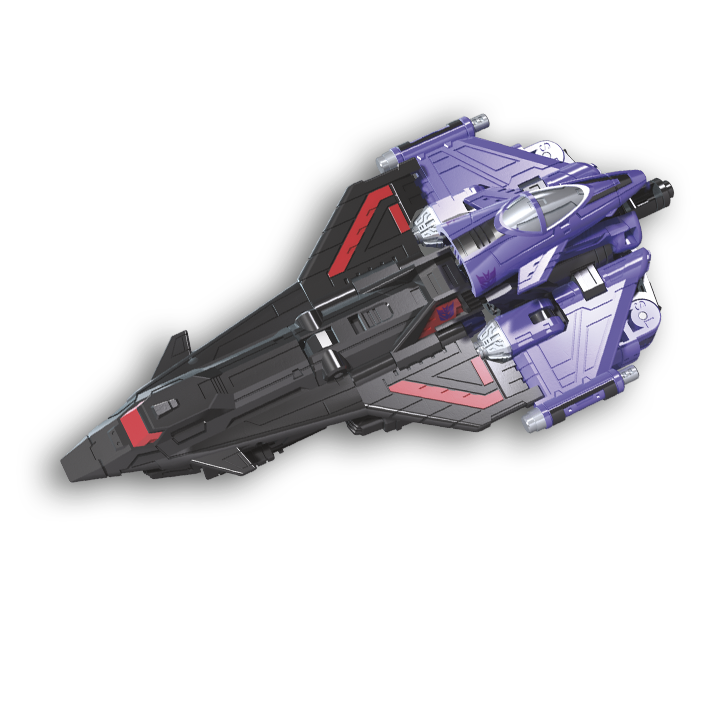 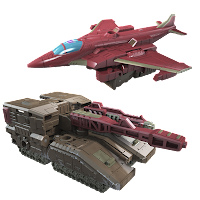 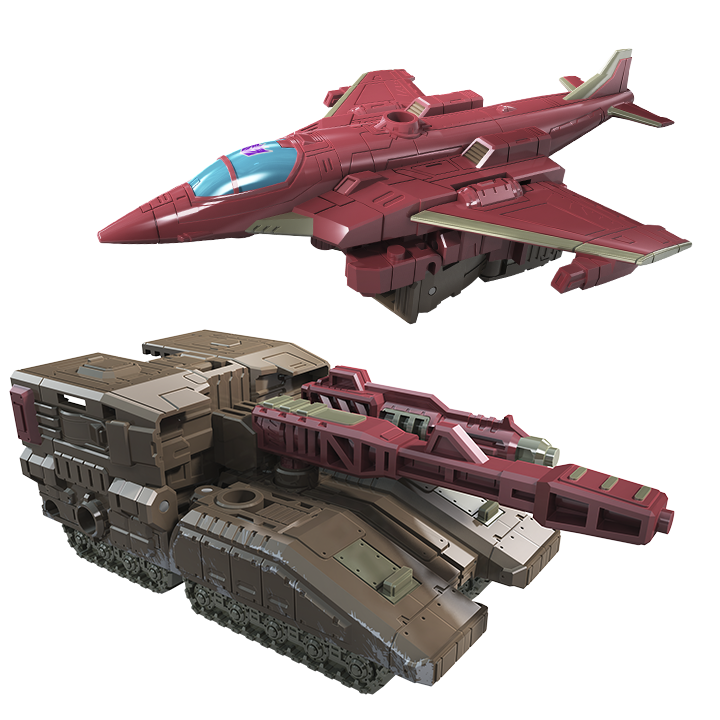 Also its confirmed that Refraktor's alt mode is a Cybertronian artillery hovercraft mode and this also confirms that you really need 3 copies to form its camera mode. 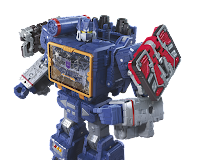 Additional Easter egg to this report that Soundwave has a 2nd alt mode: a lamp post which a nod to his earlier mode that appeared in "More than Meets the Eye" episode. 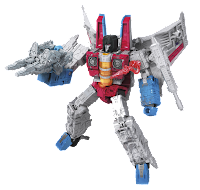 The new set of figures will hit the shelves next year. 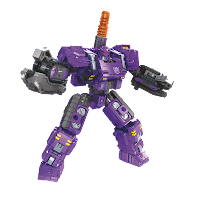 No Response to "Transformers News: More War For Cybertron: Siege Decepticons Official Images"
Robot Pilipinas Design by topwpthemes. Converted To Blogger Template By Anshul And Ritesh .